If you’re stuck with your unfounded beliefs on what could be the most common myths and misconception of hypnosis, you are missing out opportunities of relearning new supportive behaviors that could potentially enhance your mental wellness and develop other mental strength. It’s perfectly understandable as most people who has never undergone a hypnosis session could be suspicious of the process, no thanks to the common misrepresentation of hypnosis as falling unconscious after staring hard at a swinging clock watch. (No thanks to movies and dramas). While I’m not a hypnotist nor a hypnotherapist, I had my fair share of being hypnotized, either through hypnosis downloads or by watching a stage hypnosis by young local talented magician Cody Tan. Both created positive after effects for me. Anyway, here’s a compilation of common myths and misconception of hypnosis that you really should dispel if you’re missing out the positives of hypnosis. This is probably one of the greatest fear of anyone getting ready for their first ever hypnosis session, especially if they are not aware of what hypnosis is all about prior to that. Here’s the truth, you will not lose consciousness nor surrender the control of your mind to the hypnotist when you’re being hypnotized. If anything, it’s the actual opposite of that. When you’re being hypnotized, you’re actually in a super focused and relaxed state, where your conscious intellectual mind takes a back seat to your unconscious mind that is all aware of your senses. We tend to fear the unknown or those that we cannot comprehend with our existing knowledge. But no, hypnosis does not belong to any cult practice nor hypnotist bears any supernatural mind control abilities. In fact, hypnosis is a natural state of the human mind that is neither created nor uncreated by the hypnotist. You have unknowingly gone through the hypnosis state thousands of time in your life without knowing it and it happened when you’re about to fall asleep and when you awaken again. Hypnosis is based on scientific studies and practiced by professionally trained hypnotherapists to address mental wellness issues like depression and anxiety. A common worry is that what happened if you’re interrupted in a hypnosis session. Or what if your hypnotist forgot to bring you out of the hypnotized state. Would you stay trapped in the hypnotic trance state forever? No, you won’t. I have my fair share of hypnosis session interrupted and I do get out of the trance state almost immediately. What you should understand that hypnotic trance is a pleasant relaxed state that some people might choose to remain in that hypnotic state by their own will if they were never brought out of it. However, it is not a state that lasts indefinitely, and you’ll always get back to your normal senses. If your experience of hypnosis is limited to watching stage hypnosis where the audiences are being hypnotized and made to perform ballet dance or hilarious acts, you may be excused for having this misconception. When you’re being hypnotized, you may do things that you normally would not do, but you can never be forced to do things you are not willing to. In a stage hypnosis, the performer carefully selects participants from the audience that has the tendency to “entertain” when they are being hypnotized. In short, if you are not willing to dance like a clown on stage, no hypnotist is able to break your will and force you to do so. Hypnosis may result in a calm and relaxed mind that may be conducive for your sleep but the hypnotic trance is not the state of sleep or unconscious. The hypnotic trance is not a mystic state of your mind that conjured up by the hypnotist. It’s a natural state of focus and relaxation that the hypnotist or hypnotherapist guide you towards. In fact, you can experience hypnosis with your eyes open, as I’ve definitely had while watching a stage hypnosis. But closing your eyes definitely made the process easier. While a magician may include elements of magic tricks to spice up their stage hypnosis performance, hypnosis itself is one of the oldest forms of western psychotherapy that struggles to gain mainstream acceptance, no thanks to movies and stage performance that paints the wrong picture of what hypnosis really is. The use of hypnosis by hypnotherapist in treating depression, anxiety, and stress issues has also been increasingly popular. A study by Standford University School Of Medicine has identified changes of brainwave in certain regions as a person is being hypnotized. Is everyone equally susceptible to hypnosis induction? Some articles may indicate that everyone can be hypnotized but the fact is, to be hypnotized, you need to have the ability to focus. You need to focus on the words of the hypnotist for your mind to relax and slip into the hypnotic state. A study by Standford University School Of Medicine confirmed this with the finding that people who are less susceptible to hypnosis showed less brain activity in regions related to executive control and attention. This is the reason why I highly suggest mindfulness meditation and hypnosis as a good combination for overcoming anxiety. Can hypnosis be dangerous? Well yes, if you’re listening to hypnosis audio when you’re driving. Or if you have harmful thoughts introduced to your subconscious mind, as what people struggling with anxiety and depression often does without realizing that they are in a process of self-hypnosis. Hypnosis, when performed by professional hypnotherapists, is safe and beneficial to your mental health. Unlike stage hypnosis where participants are induced to relax and have fun, clinical hypnosis involved hypnotic suggestion meant to encourage the learning of new behavior in the subject. Unfortunately, hypnosis is not your perfect truth serum. The hypnotist has no control on what you reveal under hypnosis. 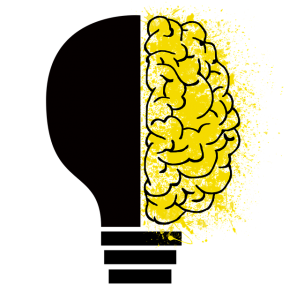 Despite your conscious mind taking a back seat in a relaxed state, you are still in perfect control of your speech and action and you are able to break out of the “trance-state” at any time. In this heighten state of focus, you can even lie more effectively than in your waking state. Hypnosis, by any means, is not a mind control and your secrets are definitely safe during your hypnosis session. On the other extreme of totally dismissing hypnosis as junk science is the belief that hypnosis is the ultimate cure to emotional and mental disorder. As much as I prefer hypnosis in my self-help programs, I have to stress that it is not a miracle pill that kicks off depression and anxiety overnight. Nor will you gain weight loss or quit smoking with hypnosis after a couple of sessions of hypnosis. Hypnosis is a mental state where you are super focused to hypnotic suggestion and learn new behaviors. As effective as it is, you do not achieve miraculous result overnight. You may feel fresh and recharged after a session, but for a permanent change of behavior and action, you need to undergo hypnosis session consistently. Have you experienced any hypnosis session? 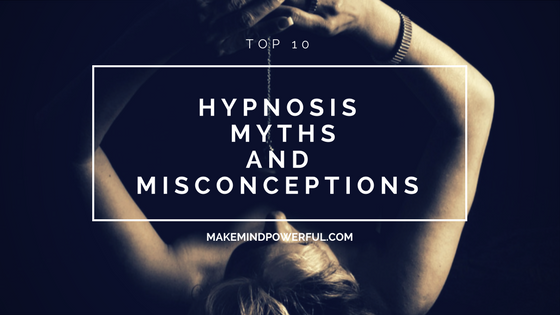 Or were you held back by these myths of hypnosis? Share your thoughts in the comment box. Thanks for the informative yet fascinating article. I have to admit, I’m guilty as charged on most of those myths, especially the first. Thanks for checking out. I’m no hypnotist myself but I’ll try to create a post explaining what hypnosis is all about. I found this really interesting to read, and I have to admit I did have some of these misconceptions! 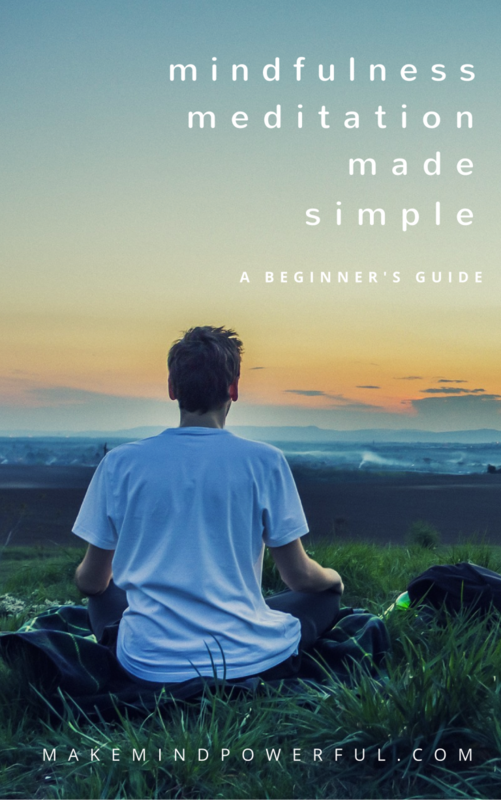 In particular, I did think that you could cure smoking easily with hypnosis, but reading this article perhaps it’s more likely that being more focused helps you decide to stop smoking, rather than a magic cure. Does this sound right in your experience? I’ve never tried it myself, probably because of the fear around the unknown, so thanks for helping me get a better understanding of it. I was never a smoker so I can’t testify on its effectiveness on curing smoking. But I’ve used hypnosis and programs that contain element of hypnosis in treating my depression and social anxieties issue. It’s not something that you could achieve overnight but consistent use of hypnosis does create new supportive behaviour that results in positive results. Many people I know have the same beliefs in the myths and misconceptions of hypnosis that you have outlined. Before undergoing hypnosis myself, I held the same notions. But, I realized after a few sessions targeting weight loss that the psychotherapist was only helping me to completely relax. He also gave me tips on how I could self-induce a relaxed hypnosis-type state in my own home. A friend of mind was able to quit smoking due to hypnosis. His therapist placed a paper clip on his ear and implanted the suggestion that every time he wanted a cigarette, he should rub the paper clip and the desire to smoke would disappear. It worked for him and, after experiencing a number of â€œreinforcement sessionsâ€, he was able to completely quite smoking. Thanks for sharing your experience of hypnosis here. I suppose we need to correct the misconception that people have with hypnosis as hypnosis is a very good method to help us overcome our non-constructive behaviours. As a student-homeopath, I definitely feel for you. It’s annoying to have your profession misconstrued as something that it’s not whatsoever, especially when there is scientific research to back it up. And you’re totally right also, we all have misconceptions from Hollywood and the media on how hypnosis really works, myself included. I think though with blogs like yours, more and more people will be more aware of what it really is and how it works. Thanks for checking out. Clinical hypnosis actually does help with anxiety and depression. It’s too bad the people’s perception are misdirected by movies and performance. Very insightful! I am one skeptic of hypnosis even though some people in my family have had positive experiences with it. I think my fear comes from seeing the shows where they hypnotize people and make them do stupid things. 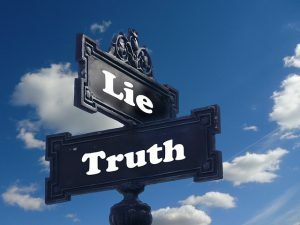 I am glad you are dispelling these myths because I bet there is much more to get out of hypnosis and it is a shame people don’t do it due to unfounded or ridiculous fears. Those people how made “stupid” things in stage show actually does it voluntarily. The performer actually conducted simple exercise to filter out the “reluctant” performers. Hope it changes your mind. You could be missing out the benefits of hypnosis. Very interesting reading indeed; I have always viewed it in the past as entertainment; Do you have to be a willing participant? Personally I will be afraid of the thought of giving control of my mind and actions to someone else. If hypnosis is for real; Has it ever been used in crime? i guess the movies has warped my thinking on the subject. You seem to be a firm believer; I’ll try not to be sceptical next time. I do think that if you are a willing participant you can be guided. Thanks for sharing. There is no chance of losing control of your mind. In fact, your senses are really hyped up in a hypnosis. You’re able to snap out of the ‘hypnotic’ state at your will but most people won’t because it’s really relaxing. My partner is a hypnotherapist so i relate to all these myths. I find it a fascinating subject and career. It really is amazing and it has helped me no end. I understand people feeling a bit funny about it especially when you have those hypnotists on TV. They give it a bad name I think. When hypnosis are painted with the wrong picture, people can’t get the right benefit out of it. Thanks for reading. Kenny, totally fascinated with this post. I have never been hypnotized but would kinda like to be. Hopefully sorry some issues I have out. What success do you have in treating depression? Thanks for loving my article. Hi Kenny, Too bad I have no experience at all so far. It is interesting what people like to believe when they don’t know something. I believe it can be helpful to get in touch with sub conscious memories to work with them. Every psycho therapy works like that. Good post, I like the topic. Thanks for checking out my article. It’s easy to believe everything that the media shows instead of the truth.